The Queensland Branch of the Women in Economics Network is pleased to launch its WEN Qld Mentoring Programme. This program provides early to mid-career women economists with the opportunity to be mentored by experienced economists to empower them building their careers in economics in academia, the private and government sector. It is intended to help support the progression of female economists into more senior roles and to make economics a more appealing profession for females to pursue. The program matches mentees to mentors for a period of 12 months during which the mentor-mentee pair will work on a specific career goal as identified by the mentee. The WEN Qld Mentoring Programme Sub-committee, composed by Tina Rampino (UQ), Fiona Ricardo (DTMR) and Natasha Doherty (Deloitte), will manage this initiative and be in contact with mentors and mentees to receive feedback on progress and offer support where needed. We are incredibly thankful to the our mentors who are volunteering their valuable time to support their junior peers in their career progression. Based on our mentors’ profiles we are only able to provide mentorship for women working/interested in working in academia or the private sector. Here you can find information on who the mentors are and on how they think they can contribute to pushing gender equity in economics. Do check this space to see how we progress with the programme. Alicia Rambaldi has a PhD in Economics with fields in Econometrics and International Economics. She is currently a Professor of Economics at the University of Queensland. Her research interests are in applied econometrics, time series econometrics, state-space models and spatial time series models. She has published in journals that include the Journal of Econometrics, Oxford Bulletin of Economics and Statistics, Journal of Applied Econometrics. Her current research projects are in: spatial time series models with applications to modelling housing prices, international comparisons and sectoral productivity. What are you hoping to achieve from the WEN Mentoring Program? 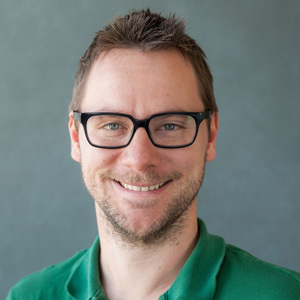 Andreas Leibbrandt is an Applied Experimental Economist who likes to combine different methodologies to generate insights for different research fields and investigate their application in public and private organisations. He is particularly interested in research on the science of diversity & inclusion. 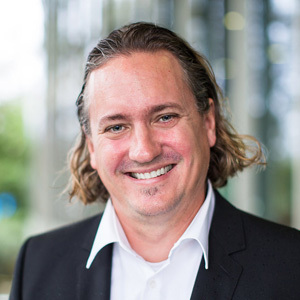 He is a Professor at Griffith University in the Business School and ARC Future Fellow (2019- ). His research is published in journals such as the Review of Economic Studies, The Economic Journal, Management Science, PNAS, Journal of Public Economics, and Journal of Environmental Economics and Management and was featured in outlets like the Wall Street Journal; Forbes; Time Magazine; ABC News; Huffington Post; Boston Globe, and Nature. 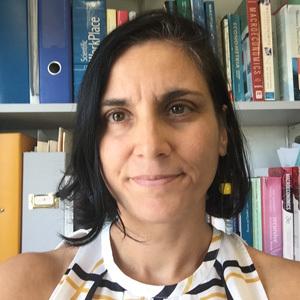 Begoña Dominguez is currently Associate Professor at the School of Economics, University of Queensland. Her research interests are in the area of Macroeconomics and, more specifically, in the design of optimal fiscal and monetary policies. Her research has been published in top journals in Economics, such as Journal of Monetary Economics, Journal of Economic Theory, among other outlets. Her teaching has also been commended with several Excellence Awards and with her application to Senior Fellow of the High Education Academy. Begoña has held numerous leadership roles both internally (as current Director of Operations and former Director of Education, Chair of the Teaching and Learning Committee, Chair of Recruitment, and Chair of the Search and Visitors Committee) and externally (as current Vice-President of the Australasian Macroeconomic Society and former Associate Editor of the Journal of Economic Dynamics and Control). Begoña is the mum of Gisele and Loec, enjoys oil painting and is a feminist and a strong supporter of equal rights and opportunities for everyone. Whenever I had the chance I have informally mentored and supported junior females in Economics, WEN may help increase the support I can provide to other females in this profession. Benno Torgler is Professor of Economics in the School of Economics and Finance, QUT. He was an ARC Future Fellow (2011-2015) and held academic and visiting positions in prestigious German and USA universities. His primary research interest lies in the area of economics, but he has also published in journals with a political science, social psychology, sociology and biology focus. His work has appeared in more than 300 newspapers and (scientific) magazines worldwide, including: TIME magazine, New York Times, Wall Street Journal, The New Yorker, Wired, Washington Post and Boston Globe and Scientific American. Helping the mentee as much as I can. 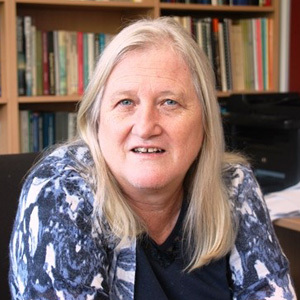 Christine Smith is a Professor of Economics at Griffith University. She has a PhD and Masters from Cornell University (United States), and Masters and Bachelor degrees from University of Queensland. She has held various senior academic management positions during her appointment at Griffith University. 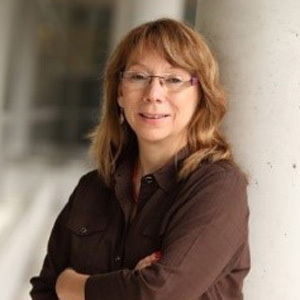 Christine has taught and supervised student research and industry placement projects at all levels. She has secured funding from the Australian Research Council and was the Editor of the Australasian Journal of Regional Studies from 2004-2011. She received a Distinguished Service Award from the Regional Science Association (Australia and New Zealand Section) in 2010. She is the author (or co-author) or editor of seven books as well as numerous book chapters and journal articles in the areas of regional science, economic growth and regional development, peace studies and conflict management, evaluation of government programs and crime prevention. She has acted as an advisor to federal and state governments and ministers as well as private sector organisations. Assisting younger academic members with career development. 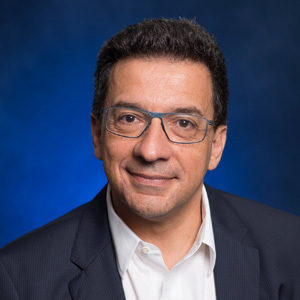 Flavio Menezes is a Professor of Economics at The University of Queensland and the Chair of the Queensland Competition Authority. He is an elected member of UQ's Academic Board and of its Standing Committee. He is the past President of the Economic Society of Australia (Queensland), Chair of the ERA 2018 economics and commerce research evaluation committee, a member of editorial boards and associate editor of a number of international journals, and a co-editor of the Economic Record. He has published over 75 journal articles on the economics of auctions, competition and regulatory economics, industrial organisation and market design. 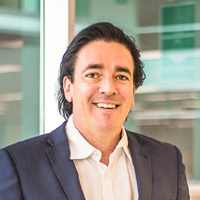 Professor Menezes has extensive consulting experience, which includes advising the private sector, the Federal Government, AEMC, ACCC, IPART, QCA, the Federal, ACT and Victorian Governments on market design issues in regulatory environments such as defence, fisheries, gambling, energy, banking, health, transport, water and telecommunications. To be able to help someone by providing career advice. 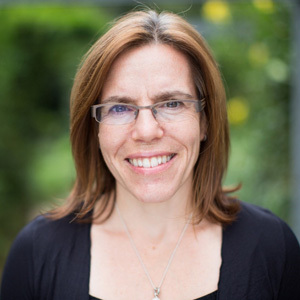 Louisa is Associate Professor at QUT. She is an applied economist with over 27 years of experience. Prior to joining QUT, Louisa worked at the University of Portsmouth, UK. Much of Louisa’s research experience has been in the areas of health care, fisheries and coastal management. Her work has informed health policy and contributed to improving the sustainable economic performance of fisheries and related industries through enhancing fisheries management and improving fisheries policy. Louisa also has an extensive record of excellence in teaching design, delivery and innovation in higher and professional education. During her tenure at QUT she has led the delivery of economics on the undergraduate business degree ensuring that over 15 000 students are competent in basic economic literacy and have a better understanding of the importance of the role of economics in decision-making. I am passionate about supporting women to further their careers as economists. It is a tough gig, and I can offer both practical support and guidance as well as help mentees develop the resilience to navigate the sector. Luke Connelly is Professor of Health Economics at the Centre for the Business and Economics of Health. He also holds a Professorial appointment (part-time) at The University of Bologna, to which he was appointed in 2017 via the Italian "Direct Call" processes. His main interests are in health economics and insurance economics and the effects of institutions (including legal constructs) on incentives and behaviour. He has also worked in other fields of applied microeconomics, including education economics and transport economics. Luke serves as a member of the Medical Services Advisory Committee (MSAC), which advises the Australian Minister for Health on the safety, effectiveness, and cost-effectiveness of new and extant listings on Australia's Medicare Benefits Schedule. Over the past 10 years he has been a chief investigator on research grants and contracts totalling more than $32m. Grant and peer review experience. To assist able women to achieve their highest level of research and teaching excellence and to ensure their career path and promotion activities are well-planned and well-executed. 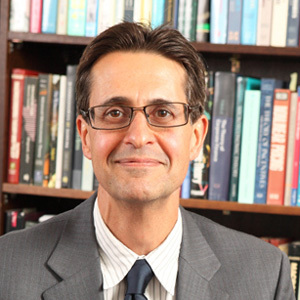 Professor Pascalis Raimondos is the Head of School, School of Economics and Finance, QUT. Previously to this appointment he has been employed at the Copenhagen Business School and the University of Copenhagen, Denmark. He holds a Ph.D. and a M.Sc. from the University of Essex, and a B.A. from the University of Athens. His main research fields are International Trade and Public Finance. His work has been published in several top field economic journals including The Economic Journal, Journal of International Economics, the Journal of Public Economics, and the Journal of Development Economics. He serves as an Associate Editor for several economic journals including the European Economic Review, the Scandinavian Journal of Economics, and the Review of World Economics. He is also a research fellow of the two main research European networks in economics, the CEPR and the Cesifo. While in Denmark he served as a member of the Danish Competition Authority and the Danish Research Council for Social Sciences. Narrow the gender gap in our discipline. 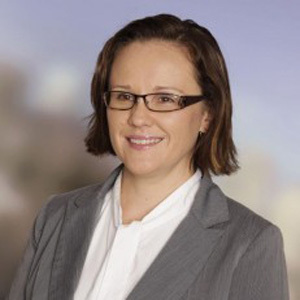 Natasha is a Deloitte Access Economics Partner and the leader of the policy and program evaluation practice. She works across the public sector, predominately in health and social policy. Natasha is passionate about evidence-based policy and practice and has led a number of evaluations for Commonwealth and state-based reforms across health, community services, funding reform and the innovation agenda. She has over 10-year experience in Government industry development including health, creative industries, emerging industries and SME development. Natasha has developed Investment Plans for large scale ICT health investment, involving detailed benefits realisation schedules. She has conducted cost-benefit analysis for a number of Health program proposals to assess and measure resource requirements. Finally, she has been involved in the development of Demand and Supply models for Health workforce. To help other female economists to advance their careers. I want to share what I've learned in my career and help other women with their challenges in the workplace. Plus it's good to learn from others in the profession.